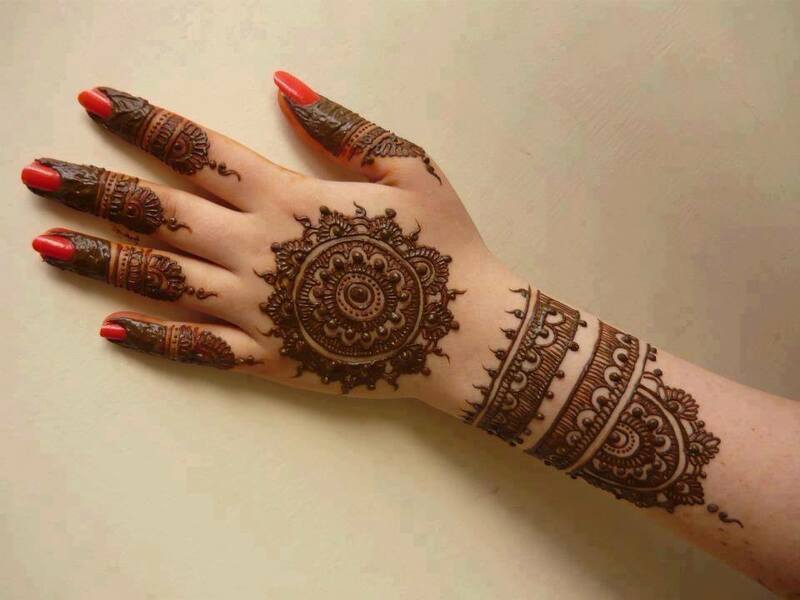 Decorate your hands this summer with simple and lovely mehndi designs. You can do it at home too. Take a look at 16 DIY Arabic Mehndi designs for inspiration! Who says you can only decorate your hands by applying nail polish? There is another amazing way to flaunt your hands this summer. How? Apply mehndi! Besides, the henna application is known to be extremely comforting to the skin during the summer season. The cooling effect mehndi/henna leaves behind at the time of application is extremely soothing to the hands and feet. So, this season, go for minimalist designs and apply them at home using mehndi cone. Zuri has compiled 16 amazing DIY Arabic mehndi design pictures for you to draw your inspiration from. The patterns are simple, mainly compromising of tikiya (round pattern). These designs go well with all sorts of outfits. From western wear to a heavy-bridal ensemble. You can accessorize your hands with heavily embellished bangles as well as a simple wrist-watch. These designs are not going to look out-of-place. Instead, they will enhance your overall summer look. 1. If you are allergic or your skin is sensitive, then do a patch test by applying mehndi at the back of your hand before making the whole design. If it starts to burn or you experience itchiness, then stop right then and do check if the mehndi hasn’t expired. Always make sure to use a fresh paste. 2. Give a gap between mehndi application and waxing. If you have already done waxing on an area where you are going to apply henna, do not do it just after waxing. Wait a day or two, as skin pores will be opened and henna contains some chemical. This situation may cause damage or irritation on your skin. Mehndi gives different color on different skins. On palms, the color is really dark, near to black sometimes. On the other side of the hand, the color is much lighter and then on the arm it gets lighter. For best result, wait for a day or two. 3. Mehndi gives different color on different skin types and areas. On palms, the color is really dark, near to black sometimes. On the other side of hand, the color is much lighter and then on the arm it gets lighter. For best result, wait for a day or two. So, ladies! This summer, have lots of fun with mehndi application. Just use your artistic side, paint your hands in lovely Arabic mehndi designs and patterns.